Want it by Wednesday 24th April? Order within 3 days, 8 hours, 43 minutes and choose Special Delivery 24 Hour Delivery (Signature Required) at checkout. 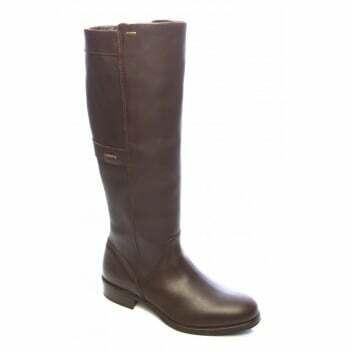 We love this Fermoy boot. Characteristically Dubarry, it has all the elements we know and love. The leather is soft and buttery, the GORE-TEX® lining is waterproof, and the sole is sturdy and secure. This knee high boot is chic and elegant, and is just as at home in the town as in the country.